Trust me, I’ve sat in front an empty Word document frustrated and confused more times than I’d care to admit. And when you finally do put pen to paper, it’s heartbreaking when your article gets just a trickle of views online. Meanwhile, the bigger blogs are getting millions of views and thousands of shares on every article they write. How do they write such fantastic content? I recently watched my article about setting up an online shop reach 1.8k shares on Facebook. It got me thinking about what prompts this kind of reaction. Is there a formula for writing good content? Let me share some of my golden rules with you. There are two very important reasons to read as much as possible. If you want to write content that gets lots of shares, you need to add value to your industry. You need to say something new. Spot trends. Make predictions. That all comes from reading as much as possible. Reading sparks new ideas. It shows you gaps in the market, and gives you a fresh perspective on things. Reading gives you the knowledge and inspiration you need to write. It also shapes your abilities as a writer. You start to learn what structures work well. You spot a nice turn of phrase or a unique angle. Never stop absorbing the best writing out there. Dense and unfocused writing will drive your readers away. Fast. The best thing you can do as a writer is keep your content as sharp as possible. But instead, they chose a highly specific topic. Instantly, you know that their writing will be focused and sharp. Start with just ONE simple thing. After that, it’s all about the editing stage. When you read through your work, you’ve got to be ruthless. Cut anything that drifts off-topic. Lose any digressions or side-points. Even if it’s the best paragraph you’ve ever written! If it doesn’t back up your ONE main point, it’s got to go. One of my favourite bloggers on the internet is Ali Mese. Now, he could have titled this blog: “How to increase your pageviews”. But, do you think it would have spread like wildfire? No, me either. The reason this article (and lots of his) are so powerful, are because he tell a story. It’s much more inspiring than other formats. It’s easier to read and relate to. Try to write your next article in a story form. You can’t help but inject more emotion into it. Content is useless unless you’re saying something unique and compelling. The best writers have a personal voice and identity that connects with their readers. The good news is that you have that unique voice inside you. Learn more: Want A Unique Tone-Of-Voice Like Nike & Innocent Smoothies? Here’s How. It’s not just how you write that needs to be unique though. What you write must be individual. Copying and regurgitating content is truly the biggest waste of time. Say something new. Be controversial. Add value to your industry. Highlight a new idea. Use your expertise. If your industry feels saturated with content, look at things from a different angle. Always remember that people on the internet are looking for answers. The best blogs let readers go away with some real actionable advice. Something they can do immediately after reading that will help them. 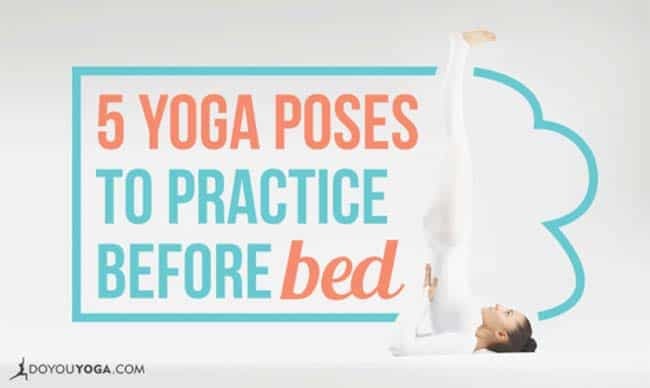 This yoga blog below shows you five real poses you can do today. If your readers achieve something instantly after reading, you’ve struck a goldmine. It doesn’t get more actionable than this. — My Car Won’t Start. What Should I Do? Simple, but effective. Provide answers, and readers will share you content. Anyone can write anything they want on the internet. Which is great, but at the same time, it’s hard to prove your worth. That’s why – if you want to set yourself out as an expert – you need cold hard data. You need proof that you’re an expert. That’s how you grow a readership that trusts you. They’ll keep coming back and reading because they’ve seen evidence that what you’re saying works. Plus, we love statistics, charts, data, infographics, and figures. Our brains respond to images better than text. So give us a visual sign to back up what you’re saying. My last rule might be slightly cynical, but it’s your golden rule online. Thousands of shares and millions of pageviews are entirely pointless, unless you capitalise on them. Unless you turn those readers into paying customers, you’ve wasted your time. Content exists to convert people. Convert them to email signups. Convert them to paying customers. So, use your content to take readers on a journey. Give them value. Answer their questions. But, don’t forget to lead them to the next step. Make them sign up to your mailing list to unlock further answers. Show them the way to your products and convince them to buy. Content is your teaser. So, don’t give everything away! Step 1: Research & Plan. Gather as much information, data, and examples as possible. Start jotting ideas. Before you leave step 1, you need two things. A strong conclusion, and a structure outline. Step 2. Just start writing. Don’t stop to think. Just write. Don’t second-guess yourself. Get it all out on paper. Let it flow and come out like a conversation. Don’t worry, we’ll tidy it up later. Step 3. The first sentence & lead. Hook the reader in with a juicy first sentence. Now that you’ve written everything else, use the lead (first paragraph) to summarise the whole article. Get your conclusion in early. Leave them with a compelling thought, or actionable advice. Be ruthless, it’s time to get the knife out. Cut everything that doesn’t back up your point. Cut every repeated sentence. If it’s not adding to your conclusion, it’s got to go. Step 6. Write the headline. Save this for last, and write at least five before choosing. Did you see my last blog about writing a great headline? If not, you should. Try your next blog with this template, and let me know how you get on! What was your most popular piece of content?